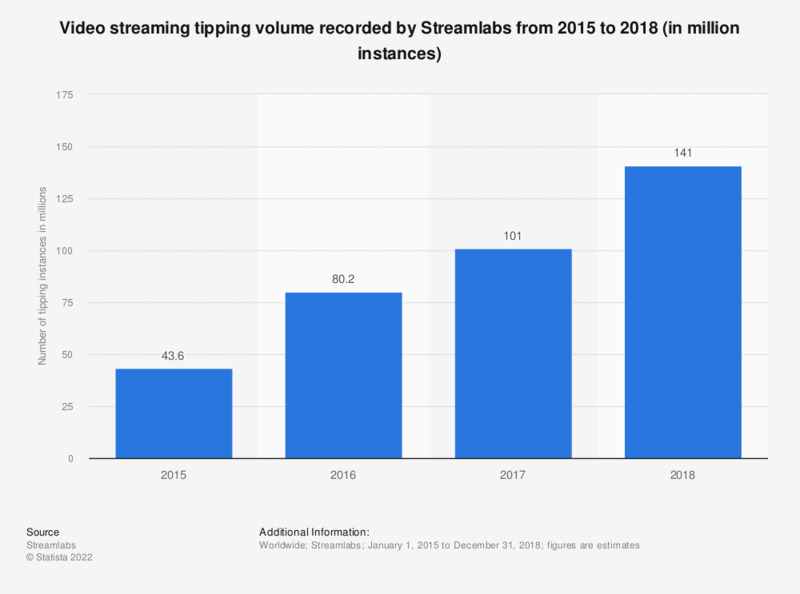 The statistic shows information on video streaming tipping volume recorded by Streamlabs from 2015 to 2018. Certain gaming content broadcasters rely on tipping as a source of income. According to the estimates, this monetization method has become more popular in the past years, as seen by the growth of tipping instances recorded on the Streamlabs platform - from 43.6 million to 141 million between 2015 and 2018.